Free Fishing Reports > Northeast > New York > North Shore > One Hour hit and run paid off !!! One Hour hit and run paid off !!! The tide was’t the best ,but we managed a quick fish before back to reality !!! Pursuit of Bass Fishing Charters. Spend a morning, afternoon, or evening fishing with Capt. Skip Hartmann. He is a USCG licensed captain, and an incredibly dedicated sport fishing guide. Capt. 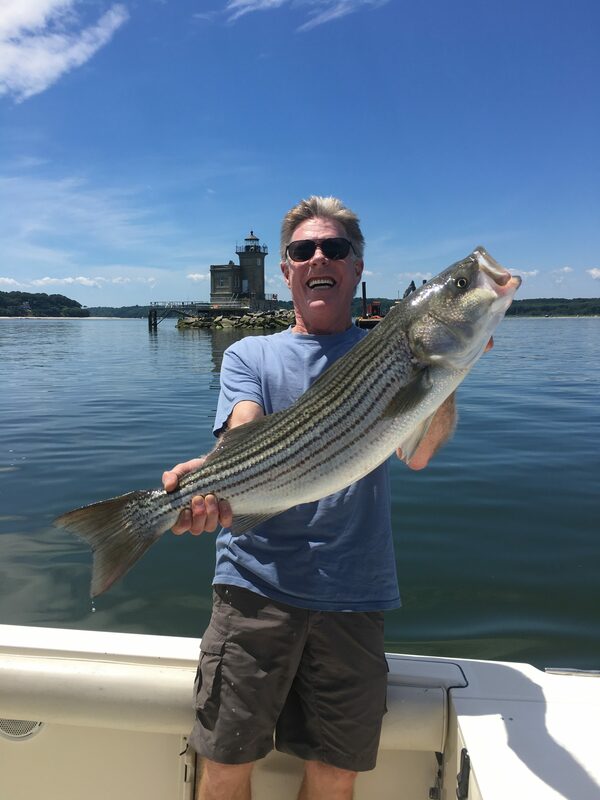 Skip has been fishing the long Island Sound for over 40 years. Expect 100% effort on your trip as Pursuit of Bass Fishing Charters offers a variety of different charters departing from Gold Star Beach(Town of Huntington).Local pickups and dropoffs available!